Join an audience that loves talking back to history to discuss Winston Churchill, the British Bulldog that taught us to “Never, never, never give up” with Larry Bounds, Artistic Advisor for Chautauqua. 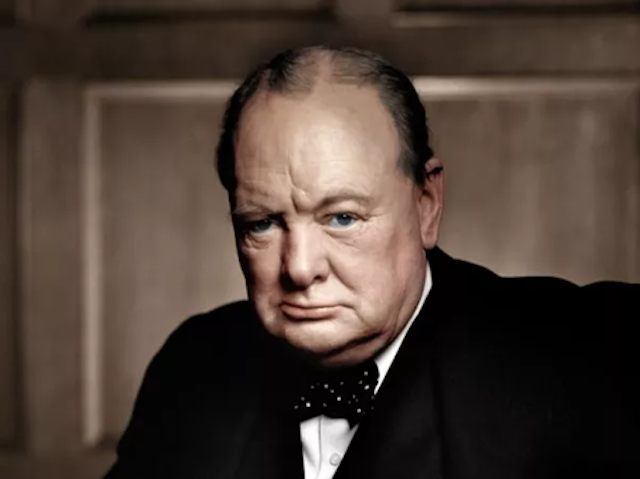 How did Churchill rise above the personal tragedies and frustrations of his own life to rally the people of his beloved English-speaking world, when defeat seemed inescapable, to deny the oppression of Totalitarianism? Talk will be led by Larry Bounds. With over thirty years as a professional educator and even more as a professional magician, Larry Bounds brings his skills together from the classroom and the stage to recreate historical characters for the Chautauqua audience. His earned a BA in Theatre and a Masters in Education from The Univ. of Tennessee, and has performed in Chautauqua programs presenting Einstein, Churchill, Houdini, Disney, and others since 2002. He is a teacher of Advanced Placement and Honors English for Greenville County Schools at Wade Hampton High and has taught classes in broadcast journalism. In addition to teaching, Larry has performed since the 1970s as a professional magician appearing for eight years with Ripley’s Believe It or Not! and three years in a Kentucky theme park. He also managed magic shops in Atlanta and has taught courses in magic for two universities.